This highlights something I’ve been an advocate of for quite a while, owning your content online, and owning your identity online. By “owning” I’m referring more to owning the place where your content lives. There are prolific producers on the web nowadays who put everything into other people’s baskets. They post on Twitter, FaceBook, Flickr, Blogger, Posterous, and all sorts of other sites… none owned by them. If you started a blog in 2006 on Vox and it grew to something huge, you’d now be in the boat with all the other Vox users looking for a new home. 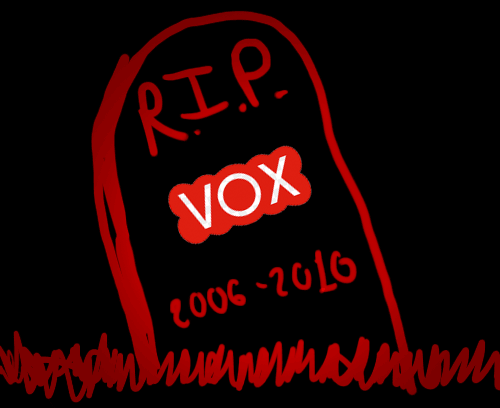 I wish all the Vox users good luck in their search for a new home… don’t forget that your own blog on your own domain is always an option. Posted on Sunday, September 5th, 2010 at 9:11 am. Subscribe to the comments feed. Both comments and pings are currently closed. Post on your own blog. It is worth to check that out for Vox users.